boondi raita recipe | boondi ka raita | raita boondi | dahi boondi with detailed photo and video recipe. a classic yoghurt based salad or dip recipe made with deep fried boondi pearls. 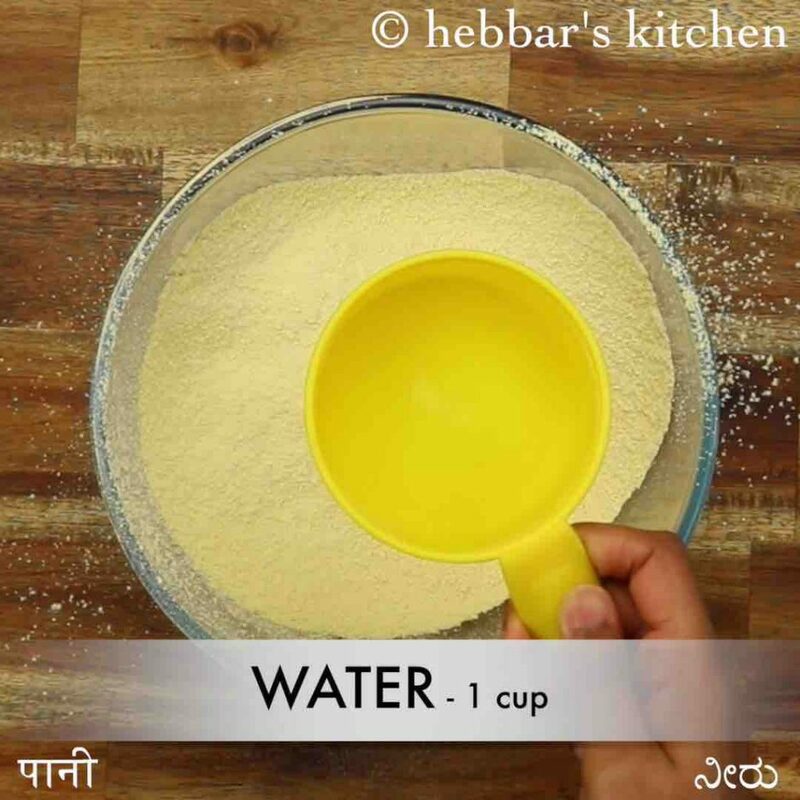 it is typically served as cooling dip served with roti, chapati or for rice based dishes like pulav or biryani. 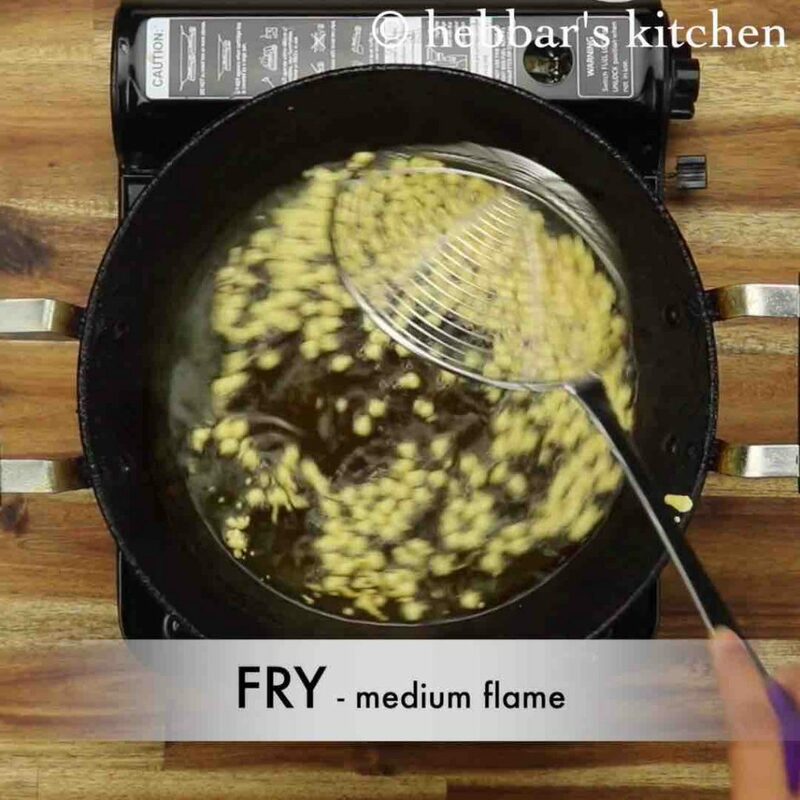 it is very simple and easy to make as it requires very basic ingredients available on every kitchen. boondi raita recipe | boondi ka raita | raita boondi | dahi boondi with step by step photo and video recipe. raita recipes are very basic and common recipe and perhaps one of the underrated recipe in indian cuisine. 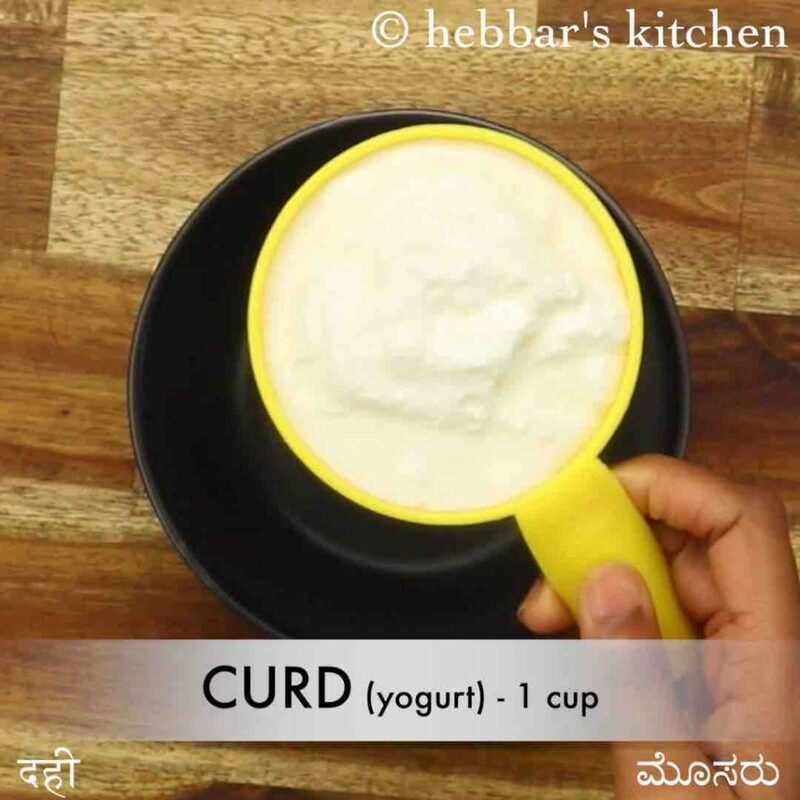 it can be made with different ingredients with yoghurt or curd as its main ingredient. boondi raita is one such popular yoghurt based dip made with deep fried and soaked boondi pearls. well as i mentioned previously, raita recipes are the most underrated recipe from the indian cuisine. it is one such recipe which makes every meal or feast complete, yet it does not get the required consideration and appreciation. as matter of fact, even in my blog i have posted very limited raita recipes and i always get side tracked. moreover whenever i start prioritising the requested recipes from my readers, i typically find very less request with raita. i believe most of them believe that making a raita recipe is no rocket science but ignore some small details in it. 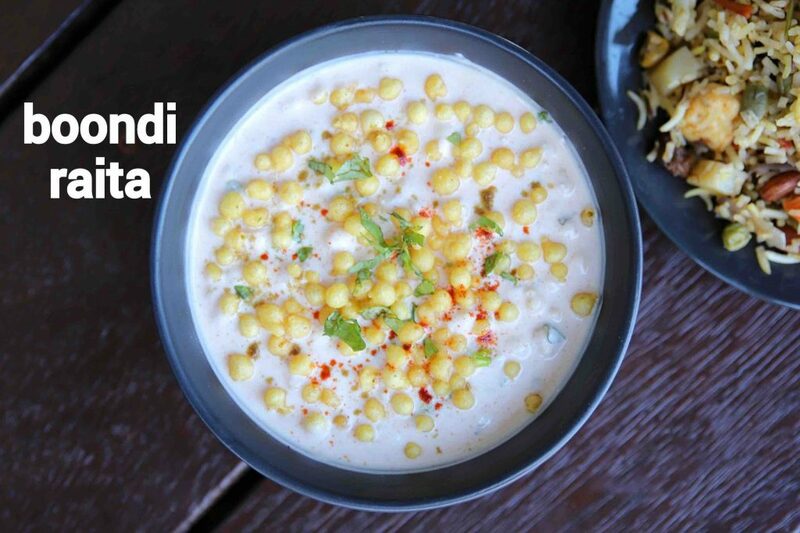 hence i thought to share this recipe of boondi raita with freshly made boondi. 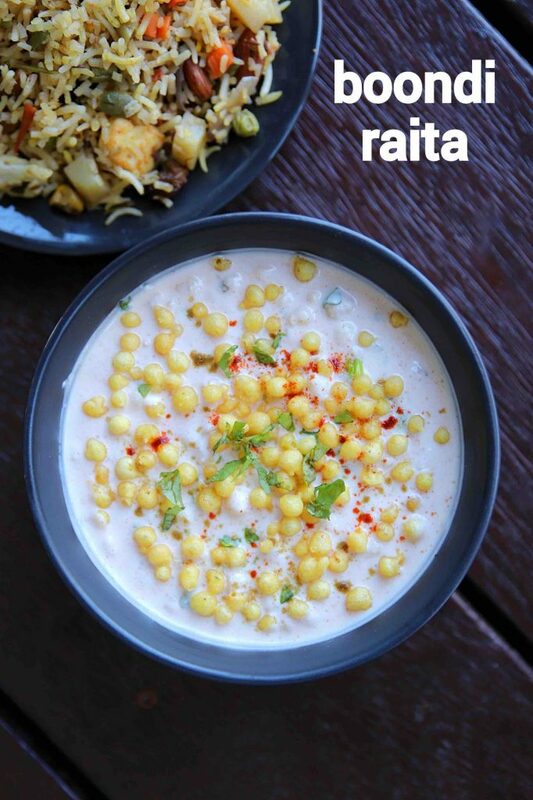 furthermore, some easy and important tips, suggestions and variations to this classic curd based boondi raita. firstly, i always recommend to use fresh and homemade yoghurt for any raita or yoghurt based recipes. it has to be thick, creamy and also slightly sour to make it an perfect dip recipe. secondly, you may question about soaking the boondi pearls with water before mixing it with curd. 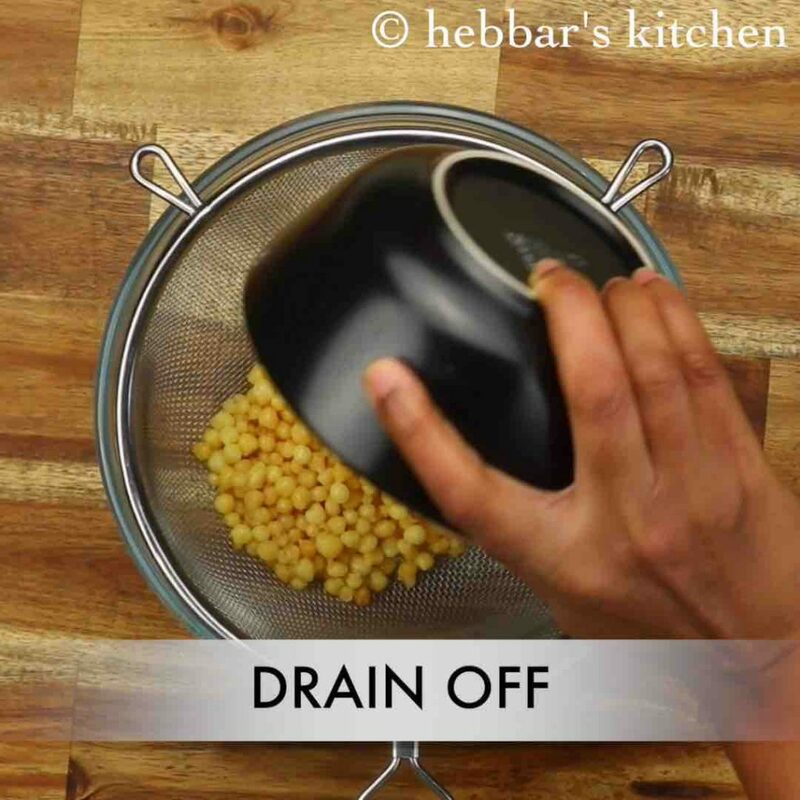 while soaking in water helps to remove the excess oil from the deep fried boondi pearls. hence i would recommend not to skip it. lastly, add the boondi pearls just before serving and avoid premixing it before your meal. it may turn soggy and also dissolve in yoghurt and thus may not have the same experience. firstly, take ½ cup boondi in a bowl. 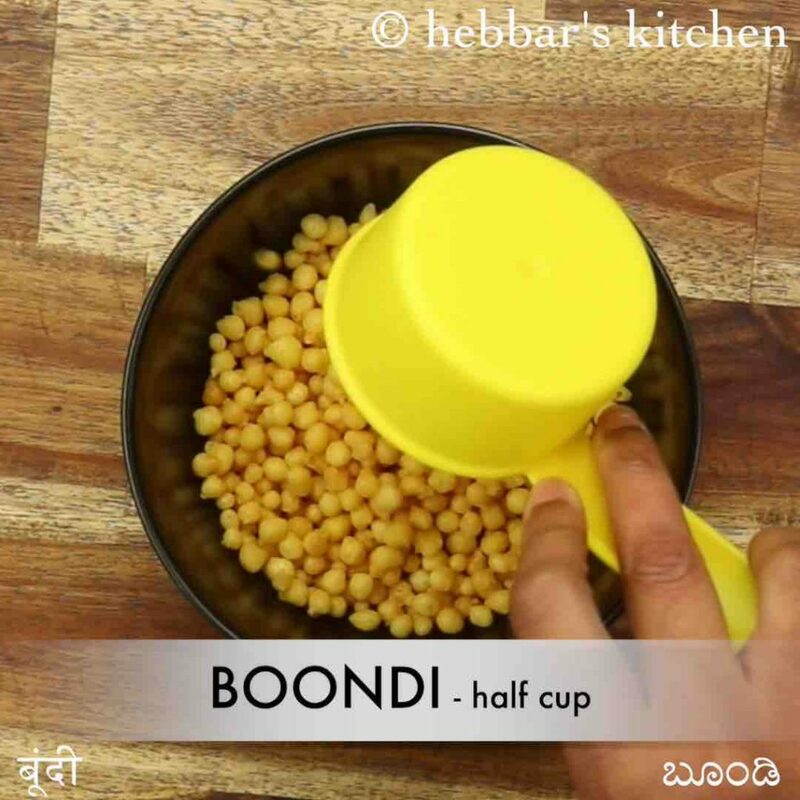 use homemade boondi or store bought boondi. soak in 1 cup warm water for 10 minutes. 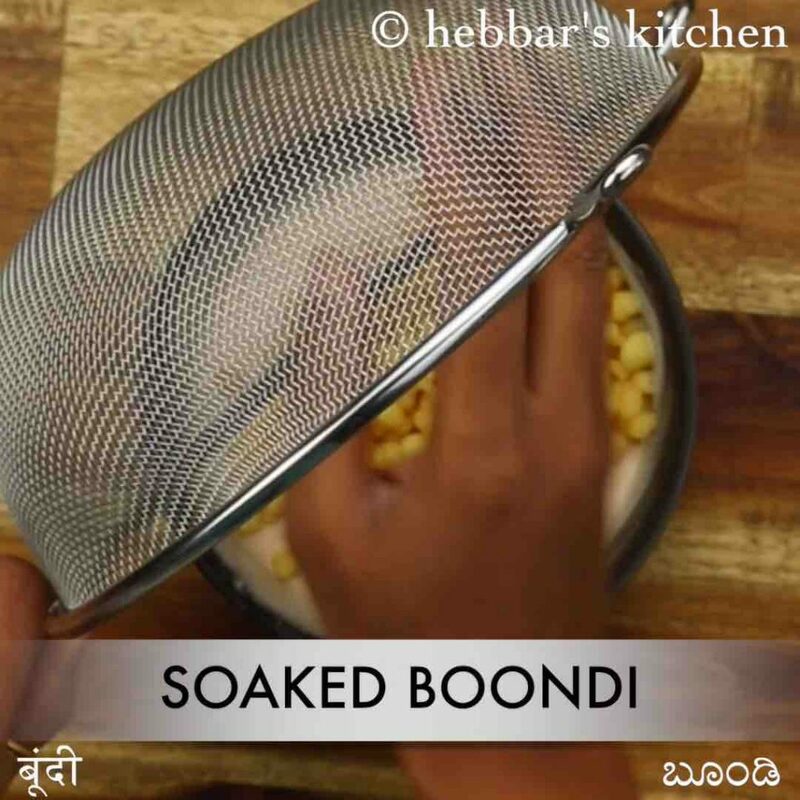 drain off the boondi and squeeze off the water gently. keep aside. 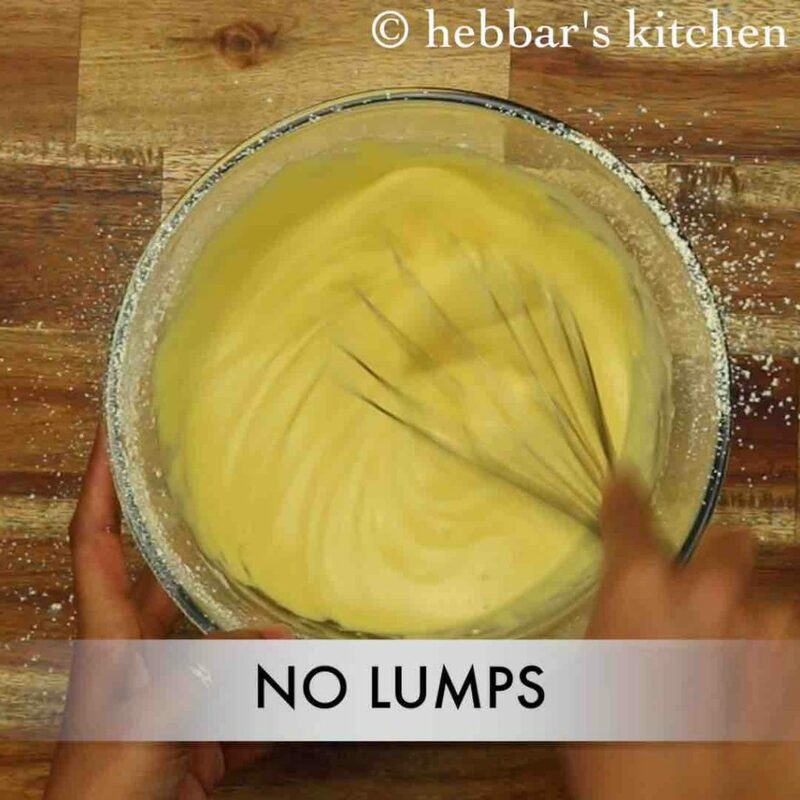 in a small bowl take 1 cup curd, ¼ tsp cumin powder, ¼ tsp chilli powder and ¼ tsp salt. 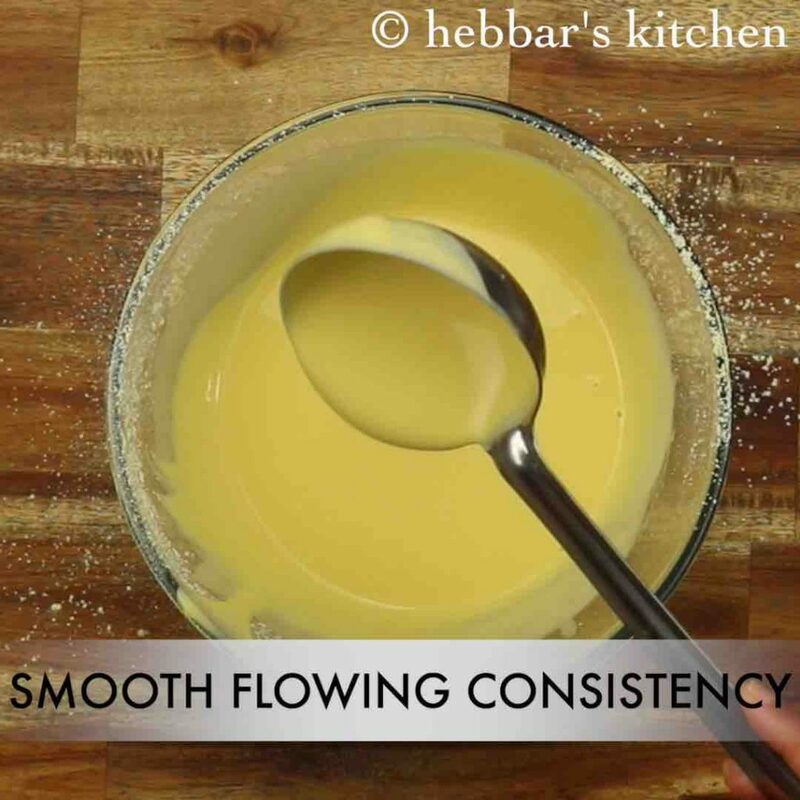 whisk and mix making sure a smooth silky consistency curd is attained. add in soaked boondi and mix well.also, add 2 tbsp coriander and mix well. top with boondi before serving. 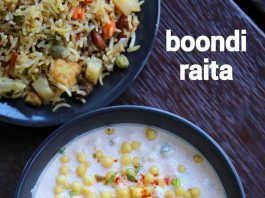 finally, enjoy boondi raita with pulao, biryani and paratha. 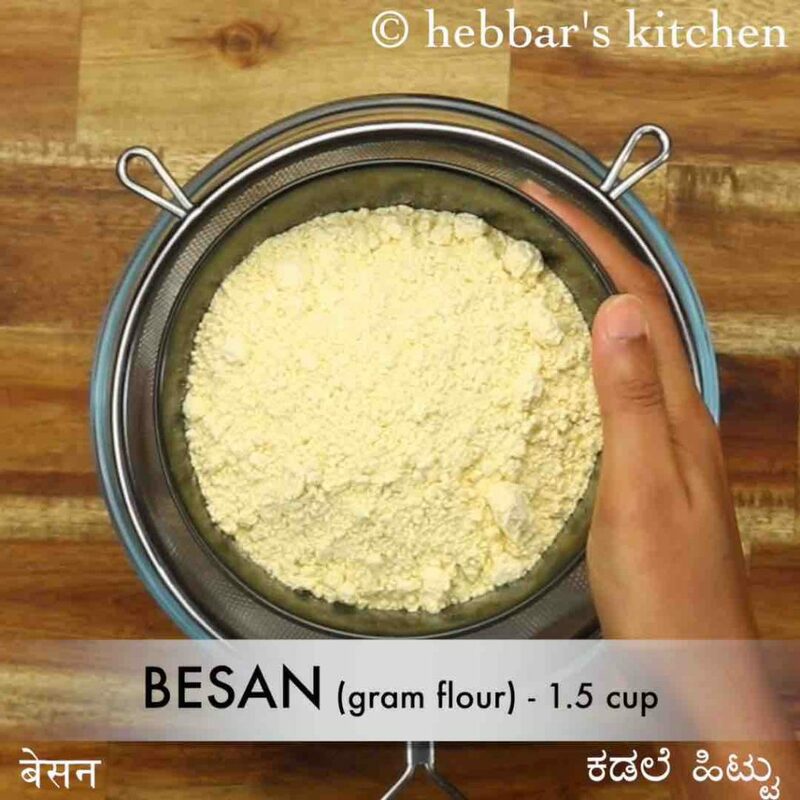 firstly, in a large mixing bowl sieve 1½ cup besan and ¼ tsp salt. add 1 cup water and whisk the batter. 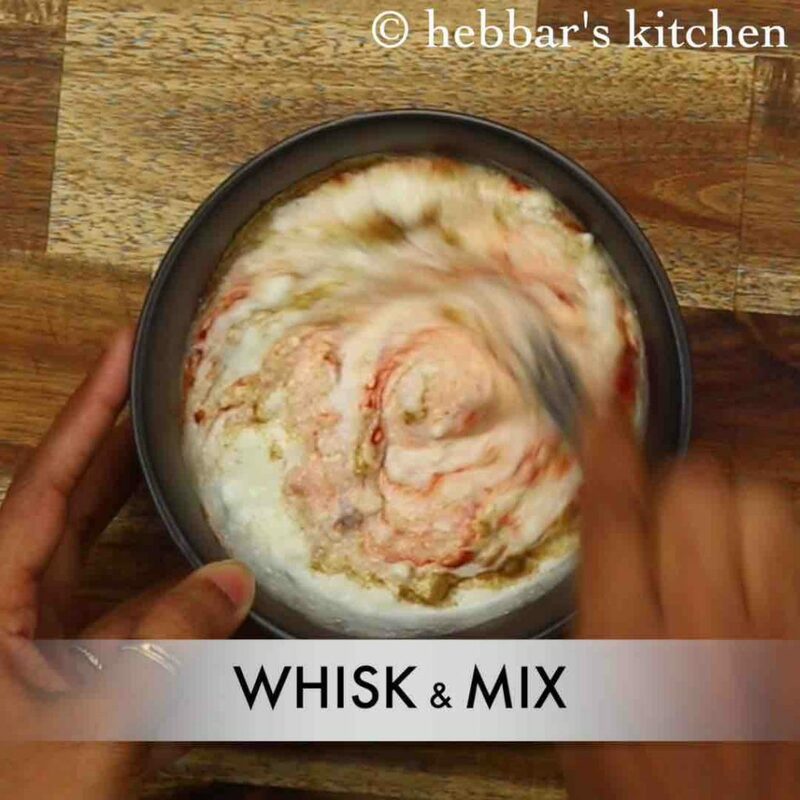 whisk and mix until it turns smooth batter. further, add 1 tbsp oil and continue to whisk for 2 minutes. 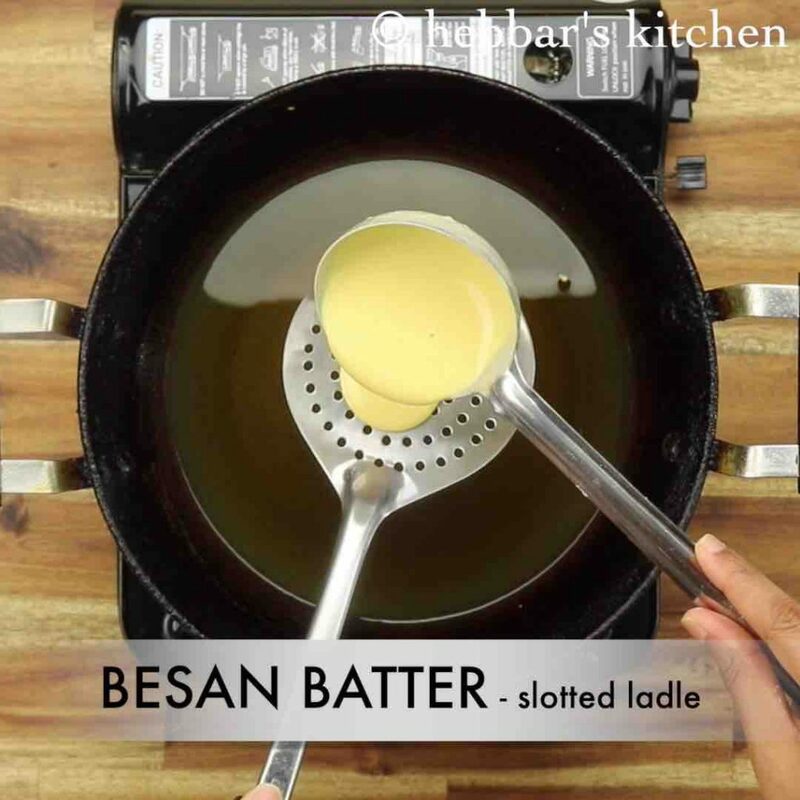 slowly tap with the help of a spoon, making sure the drops of besan fall into the oil. 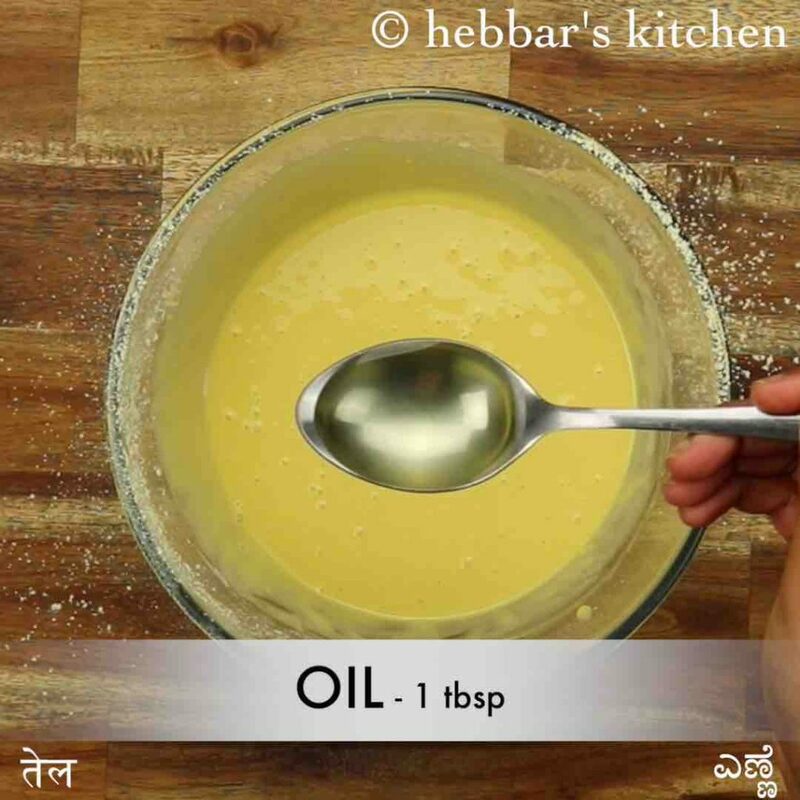 do not overcrowd the boondi in oil. stir occasionally and once they are crisp, take off the boondi and drain over the kitchen paper towel. soak in 1 cup warm water for 5-10 minutes. add in soaked boondi and mix well. 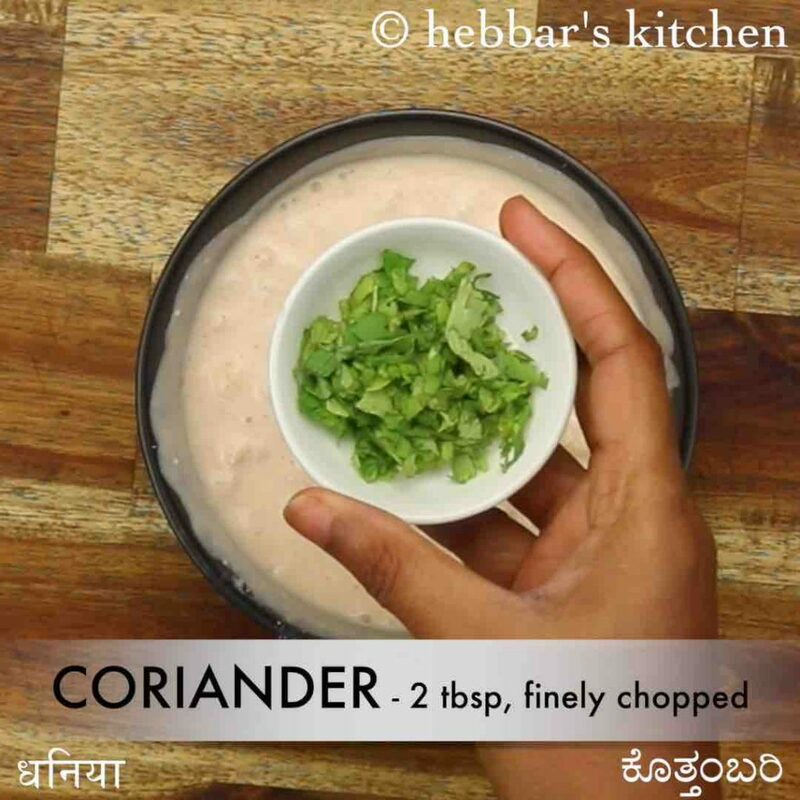 also, add 2 tbsp coriander and mix well. top with boondi before serving. 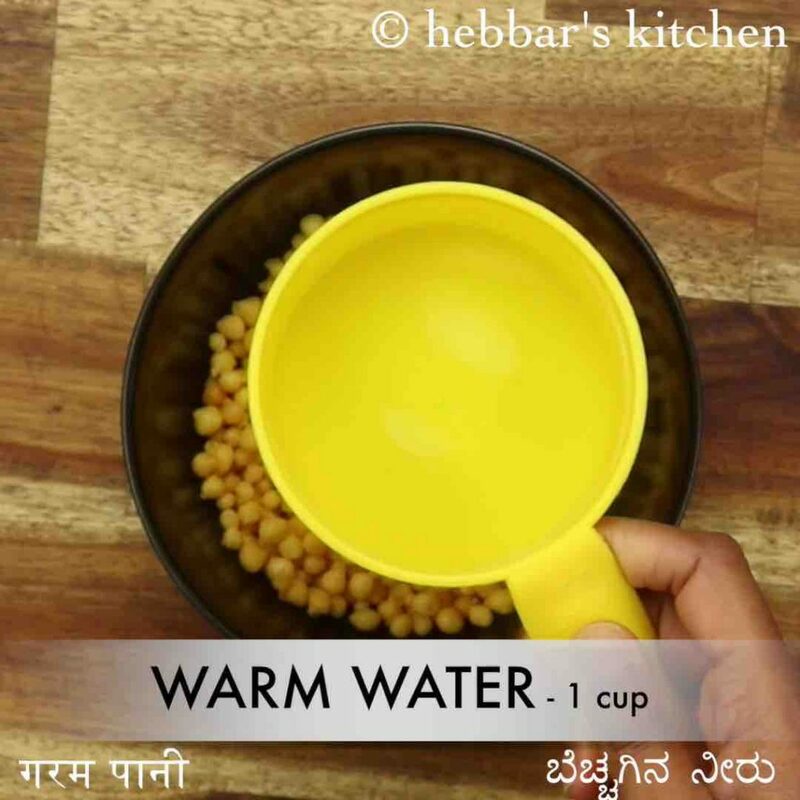 firstly, soaking boondi in warm water helps to reduce oil and also makes boondi soft. also, if you are looking for crispy boondi raita then avoid soaking in water and add boondi just before serving. additional, if the batter is thick then the boondi will have a tail. 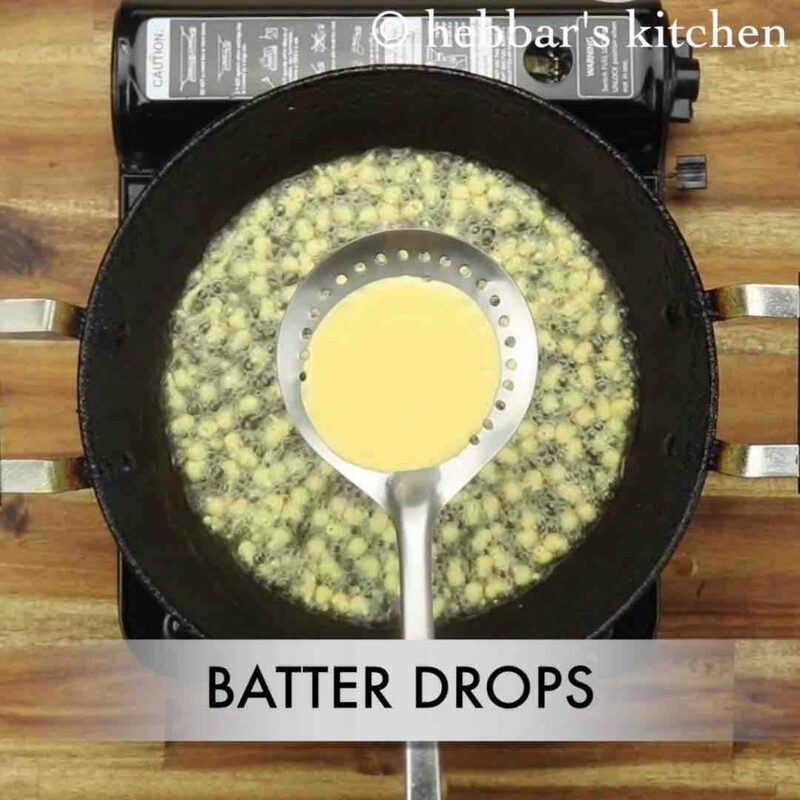 if the batter is watery then boondi will fall flat. so make sure to have the right consistency. finally, boondi raita recipe tastes great when prepared slightly thick curd.